Mately removed the image from its website after Sesame Workshop objected. 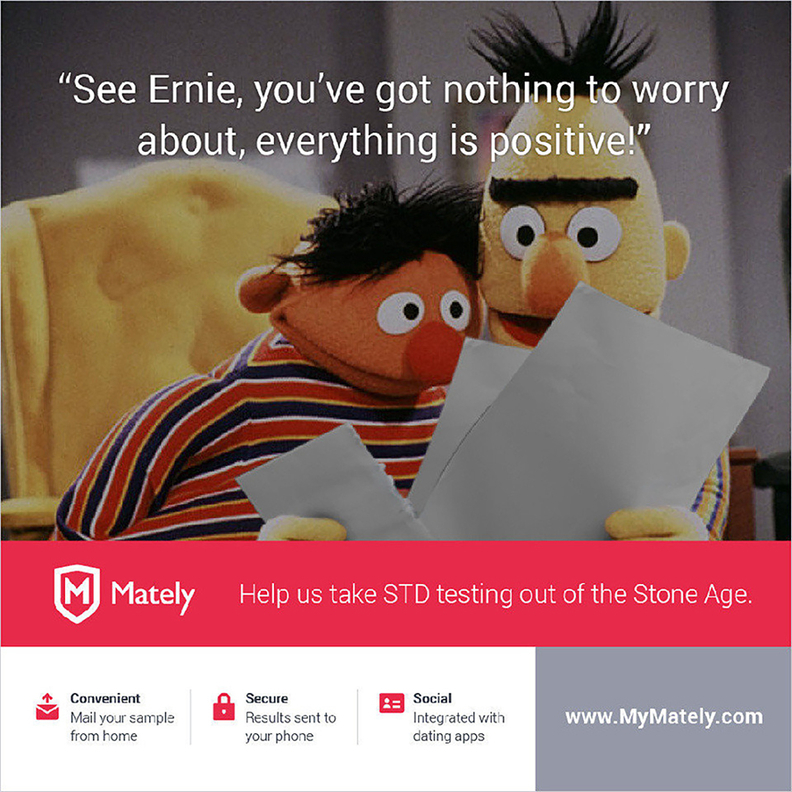 Mately, a startup that aims to make regular STD testing simpler for dating-app users and markets heavily to the gay community, set off a legal dustup when it decided to use a well-known couple in its advertising. The duo? Beloved Muppets Bert and Ernie. And Sesame Workshop—which has long maintained that the pair are just good friends and not gay—was not amused. “We will be contacting Mately and the appropriate parties with a cease-and-desist letter instructing them to take this down,” a Sesame Workshop spokesperson told celebrity news website TMZ. Mately CEO Brandon Greenberg said in a statement to Crain's New York Business, “We sincerely apologize if we offended anyone or if any images were used inappropriately.” He said the image featuring the children's TV stars was inspired by a meme circulating on social media. The miscue came as the New York City startup pursues more funding. Greenberg has put $750,000 of his own money into the company and is currently looking for venture-capital firms to fund the lab. An Indiegogo crowdfunding campaign seeking $500,000 had raised nearly $4,000 by late last week with two months left to go.